The magic staff here at Mak hasn’t been this excited about a new effect since, well since ever! We took an idea to Frontier Magic and they exceeded our wildest expectations! This effect is an animal! 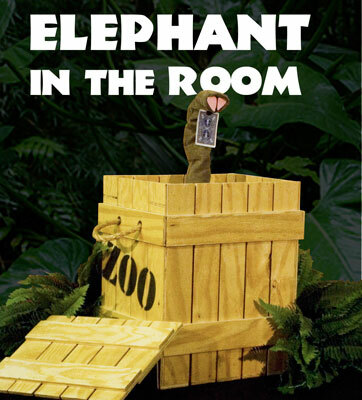 Elephant in the Room may very well go down in the magic history books as the ultimate stage/kids show effect ever to come along. Built for laughs, it has a built in mentalist routine that every magician knows and has used one time or another. Carroll and Steve both agree, this could become the centerpiece for any stage performer that wants a killer comedy routine. The potential for gag after gag is endless. WATCH THE VIDEO! 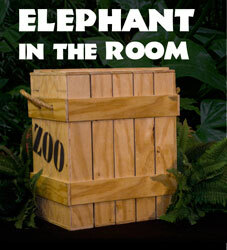 Elephant in the Room is completely self-contained! Watch here and on our site http://www.makmagic.com/ for more information. 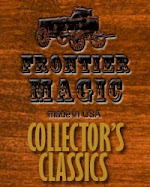 The story of MAK Magic starts with Ulysses Fredrick Grant who was born in Millerton, New York on January 12, 1901, and would become one of the greatest minds in modern day magic. Gen eventially turned the business over to his daughter Maryanne and her husband Jim King. The business then became MAK Magic and remains a family business. Mak Magic is strictly a wholesale distributor with customers around the world.